Burns, cuts and broken bones, are immediately obvious car accident injuries. These injuries are easily linked to the accident because of their immediate onset. Other injuries, such as whiplash, sprains, strains, brusing or other “soft tissue” injuries, which are not immediately visible or felt by the injured person until a later date, are more challenging to correlate those injuries to an accident. 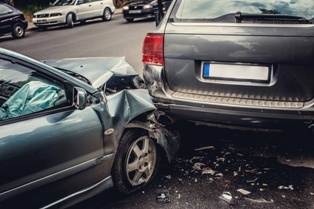 Because an insurance company will challenge the connection between late appearing injuries to an accident, it is vital to be seen by a doctor after an auto accident to help document all the injuries and their correlation to the car accident. If you experience late appearing car accident injuries, and you have clear medical records addressing these injuries, you improve your ability to secure financial recovery for these injuries when you make a personal injury claim. Back pain from damage to the muscles, ligaments, or vertebrae. Abdominal pain accompanied by bruising and internal bleeding. Neck and shoulder pain and limitation of movement linked to whiplash. Numbness or tingling in the extremities due to a herniated disc. Concussions from a blow to the head or even the high-velocity change of speed of the head without striking the head. Visual or hearing disturbances from head trauma or damage to the optic nerve. Although high-speed accidents are most likely to result in injuries, even a seemingly minor low-speed “fender bender” accident puts you at risk. When symptoms appear, it is important to report the new or developing symptoms to your doctor, even if you have already been seen for an initial evaluation after the accident, you need to add to the list of injuries to support your claim for damages. Don't try to "tough it out" and assume that your symptoms will resolve on their own, it does no good for your health and it hurts in establishing your damages claim against the insurance company. A concussion or other form of head trauma can contribute to changes in mood and behavior as well as physical discomfort. However, if you have not been diagnosed with a head injury, mental health concerns that appear after a car accident might indicate post-traumatic stress disorder (PTSD). This condition, commonly associated with military veterans, can occur after any exposure to a major trauma. Children, women, and those with a history of mental health disturbances are most likely to experience PTSD after an auto accident. Even those who consider themselves strong can suffer a form of anxiety disorder from a major traumatic event. PTSD cannot be cured in the traditional sense, but it can be managed with psychotherapy and medication in the hope that symptoms do not interfere with everyday activities. If you think you might have PTSD, ask your doctor for a referral to a psychologist, psychiatrist or mental health professional. California personal injury law tells us that people who are injured in auto accidents caused by another driver's negligence can seek financial compensation for their accident-related expenses. This includes medical expenses, lost wages, future medical care and future loss of earning capacity. Another important component of financial recovery is for a person’s pain, suffering and loss of enjoyment of life. California personal injury law also places time limits on when you have to pursue your claim for injuries. In California, for car accidents that do not involve government agencies, you have just two years from the date of the accident to file your lawsuit or settle your claim. If it involves a government agency, you only have six months to submit a government tort claim or you may lose your rights. The best way to protect your right to compensation after an auto accident is to obtain representation from an experienced personal injury attorney. Your attorney can help ensure that your case proceeds in a timely fashion by lining up documentation of your injuries, locating relevant experts to testify on your behalf, and negotiating a fair settlement with the other driver's insurance company. The legal team at the Inland Empire Law Group is committed to helping California residents seek the compensation they need to move forward with their lives after suffering auto accident injuries. Call 909.481.0100 today to schedule a free, no-obligation initial consultation at either our Rancho Cucamonga or Victorville locations.